SENIOR FINANCE AND ADMINISTRATION MANAGER REQUIRED. • A thorough knowledge of running an accounts office up to and including auditing and production of Financial Statements. • Exceptional written and oral presentation skills and IT. • Honesty, Integrity and commitment. • Experience of working with International Organisations will be an advantage. PLEASE READ THIS ADVERT CAREFULLY AND DO NOT APPLY IF YOU DO NOT HAVE THE EDUCATIONAL QUALIFICATIONS OR SKILLS WE REQUIRE. 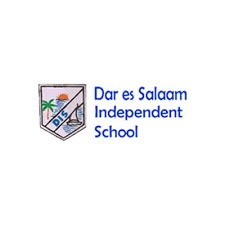 Welcome to Dar es Salaam Independent School. We established our school in September 1996 and now operate on three campuses. The Early Years pupils are in Mikocheni on the same site as our swimming pool and the Primary and Lower Secondary pupils are nearby on our second site which is also in Mikocheni. Our High School is established on our newest and biggest campus out in Mbweni. We aim to provide an excellent education for all of our pupils and our motto of Tushikamane Katika Elimu: Together for Education is one which we hold dear. We are a Tanzanian school registered with the Tanzanian Government and we have international standards.